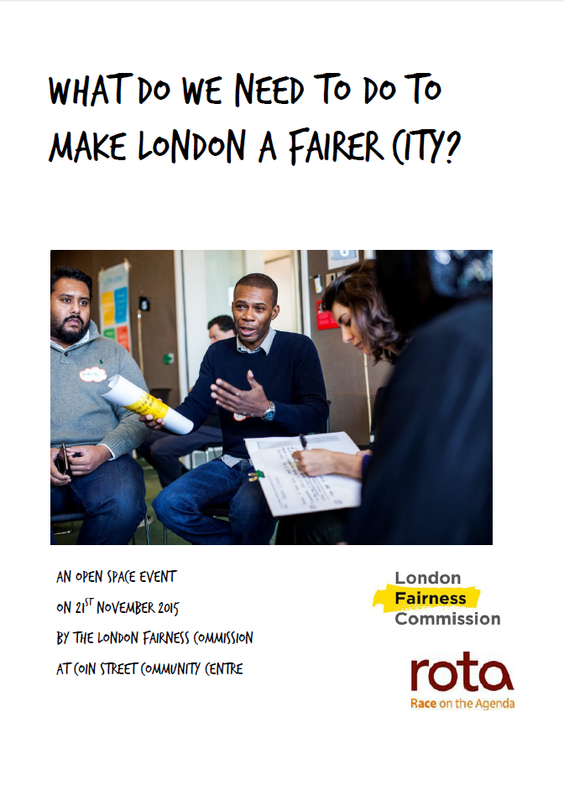 What should be done to make London a fairer city? To this end we are organising a series of Open Space events with groups from across London, hearing the voice of civil society, older Londoners, ethnic minorities, and younger Londoners. This report outlines the results of the third of these events with people from black and ethnic minority backgrounds, held in partnership with Race on the Agenda and supported by the Coin Street Neighbourhood Centre. The Open Space event report is available HERE.